Chris Widener is a popular speaker, author and writer. Through his work he helps individuals and organizations turn their potential into performance, succeed in every area of their lives and achieve their dreams. Chris is an example of how anyone can overcome any odds to achieve a successful life and help others achieve the same. Chris has overcome many obstacles... living through his father dying suddenly when he was four, being sent away from his family to live with relatives at age nine and becoming involved with drugs and alcohol by the age of twelve. 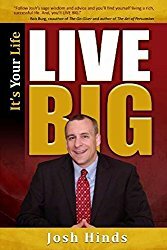 Chris overcame those obstacles and has for the last ten years worked with some of the most financially successful families in America, helping them to achieve both personally and professionally. Chris has spoken to groups at some of America's finest organizations like Cisco Systems, General Electric, and the Harvard Business School.